The criminal incident of kidnap happened around 10:00 am on Saturday at the Paediatric section of the hospital. There was confusion and pandemonium at Dantsoho General Hospital Tudun Wada when a woman was caught for allegedly stealing a nine months sick baby. The incident happened around 10:00 am on Saturday at the Paediatric section of the hospital.‎ The woman was caught by the baby’s biological mother inside the patients’ ward where the boy was admitted. 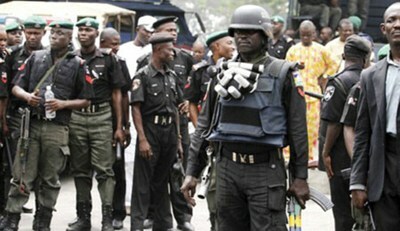 ‎Daily Trust gathered that the suspect was almost lynched by the angry crowd that gathered after the boy’s mother raised alarm. ‎A staff of the hospital who simply identified himself as Muhammed said it took grace of God to protect the suspect from being lynched. “I was with the security guard at the gate when one of them brought her that she tried to steal a sick baby on the bed. Other women with patients in the hospital came in large number trying to lynch her but we quickly kept her inside the security room before calling the police,” he said. According to him, the suspect while been interrogated by security guards before the arrival of the police denied stealing the baby. “She told us that the boy was about to fall from the bed so she picked him up because nobody was not close by. ‎But when asked if she had a patient at the hospital she said no that she only came in” he added. ‎Daily Trust also gathered that the suspect has been handed over to Metro police station along Lemu Road. Contacted the Head of Nursing at the hospital, Jamila Garba confirmed the incident even though according to her she was not at the hospital when the incident happened. “I was not on duty on that day because it was weekend but I was told of what happened”, she said. She advised women to always abide by the rules of visitation in the hospital which is 4:6 pm daily. The State Police Command Public Relations officer, Yakubu Sabo did not pick his call.